A delicious addition to a meal can be cooked on the barbecue or inside grill. 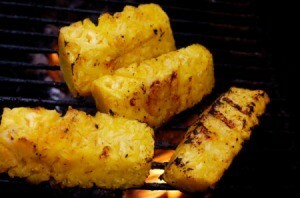 This page contains grilled pineapple recipes. These are excellent alone or topped with a small scoop of vanilla ice cream. Stir honey, brandy, and lemon juice in a glass dish. Add pineapple, coat well with marinade mixture, cover, and marinate in refrigerator for 1 hour. Remove pineapple from dish and discarding any leftover marinade. Place pineapple wedges on rack or in a basket on the grill for about 10 minutes, turning once, or until pineapple is hot and caramelized. Combine syrup and butter; set aside. Quarter the pineapple lengthwise, leaving top attached. Grill, uncovered, over medium heat for 5 minutes. Turn; brush with maple butter. Grill 5-7 minutes longer or until heated through; brush with maple butter and sprinkle with nuts. Serve with the remaining maple butter. 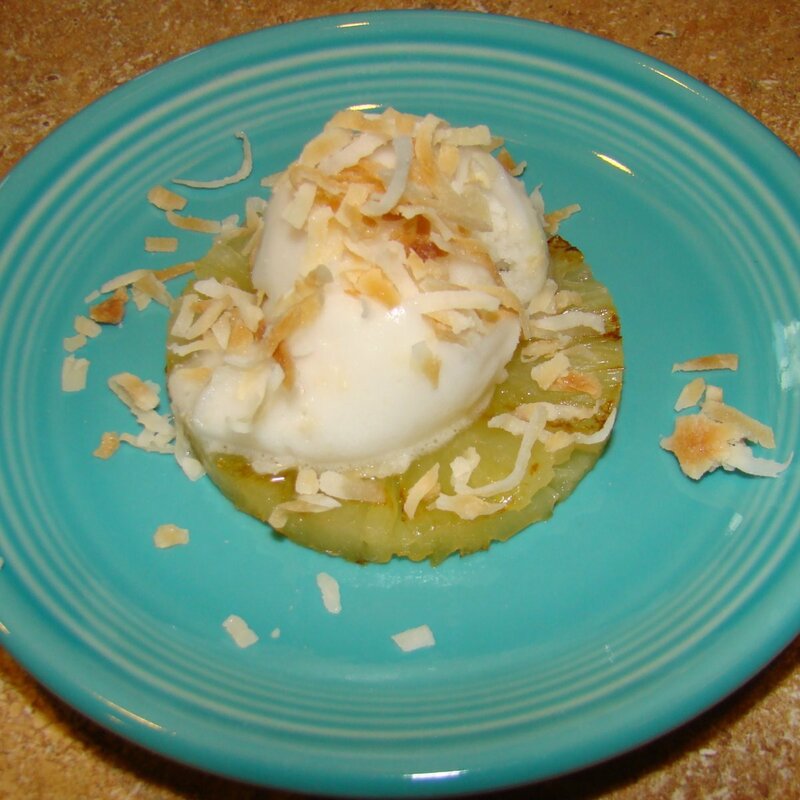 This tropical treat combines warm pineapple with cool coconut flavor. This guide is about making grilled pineapple with coconut sorbet.